Extraordinary Effort, Spectacular Failure opened last Friday, March 6, a group show from the Hatch artist incubator program at Chicago Artists Coalition. 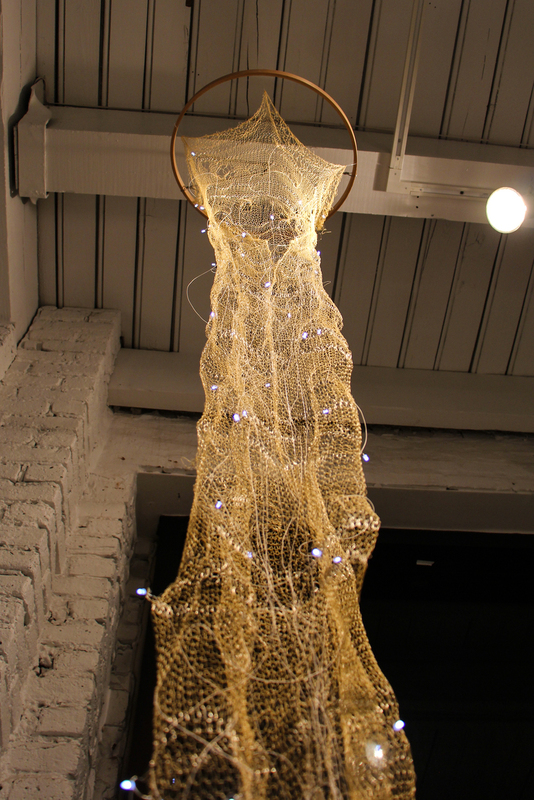 I have a new piece in it, a column of knitted Kevlar and circuits, suspended on an embroidery hoop from the gallery's 14' ceiling. 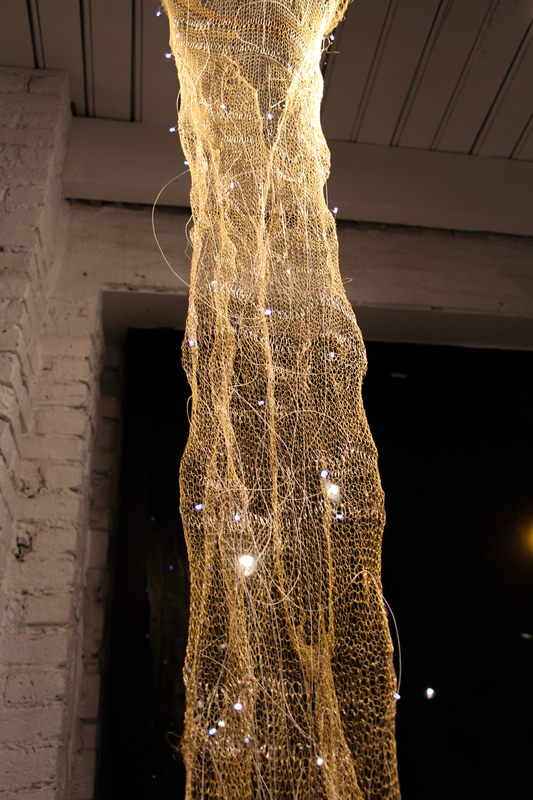 In order to protect the delicate circuitry, I soldered the piece onsite. Ultimately, it turned out better than I could have hoped, and really pops at night. I feel like this is a sketch for a larger work so I don't quite have a title for it. I'll likely develop the project further as part of my upcoming Public Engagement Maker Residency at UIC/Mana Contemporary. 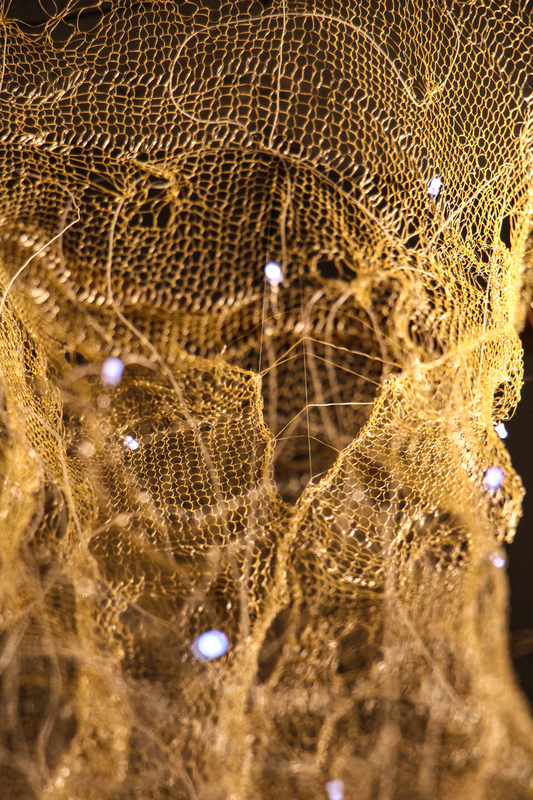 If we missed you at the opening, join us for the closing event, Thursday March 26. ***New City reviewed and recommended the show here. My paper speaker was included in the show, "Craft/Work," which opened at Beauty and Brawn Gallery, April 18. The show's organizers, Nora Renick Rinehart and Rachel Wallis, were fantastic to work with, and immensely patient with all my technical issues (more on that below). 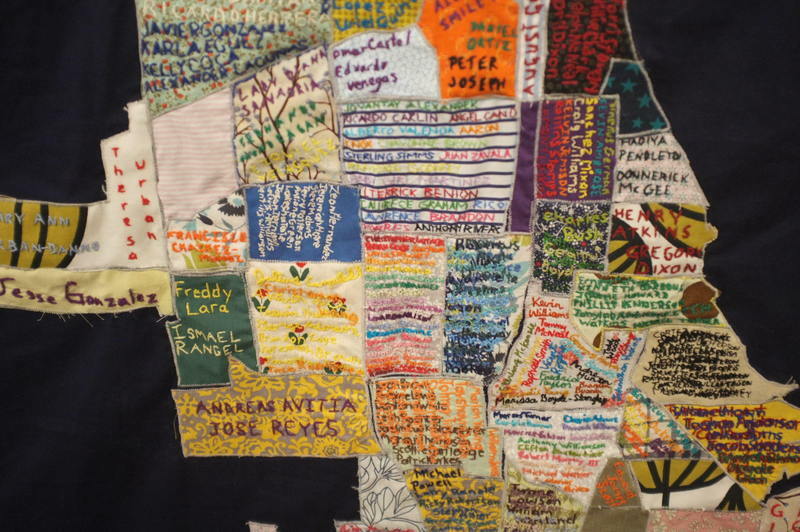 This poignant quilt, embroidered with the names of Chicago homicide victims, was detailed in the press. I actually had a slightly different speaker intended for the show, but I had to swap out because the epoxy glue-down was too thick, which ended up muting the sound. 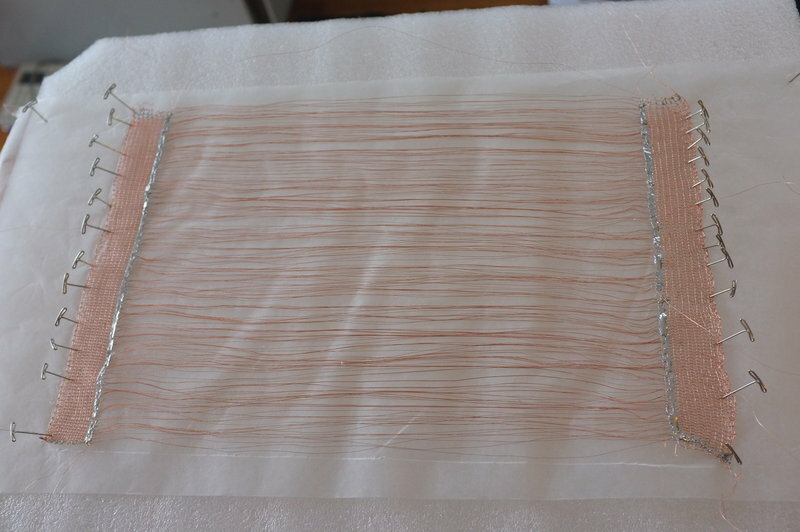 The original is such a lovely object, though, with beautiful handmade paper from my former student, Alex Borgen, that I'm contemplating other uses for it. Perhaps a paper lantern? March was a crazy month-- I opened shows in three galleries! One of them was the work of my students, and it came off beautifully. 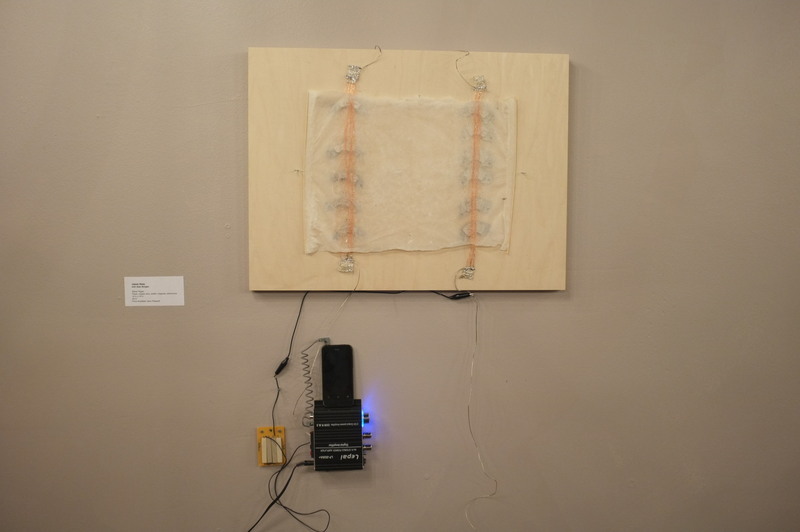 Chicago Curates Columbia: Audio Arts and Acoustics is at the college's Arcade Gallery. 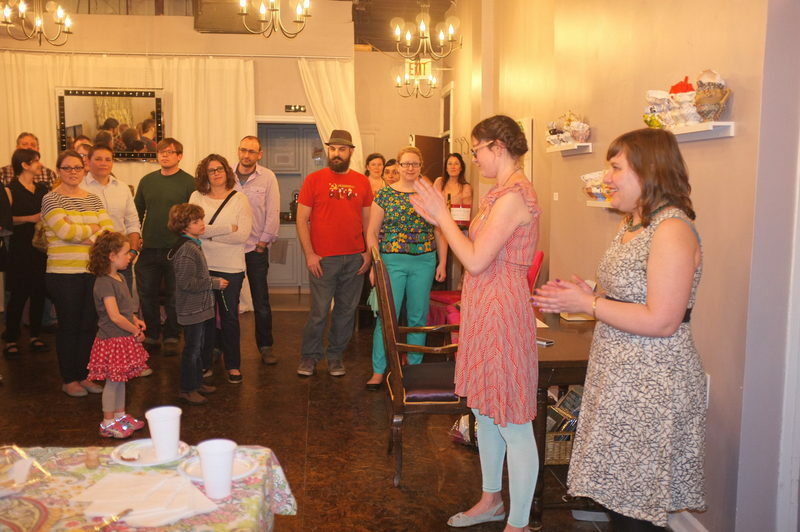 The reception was April 2; the show runs through May 2. Both of my classes created group projects. 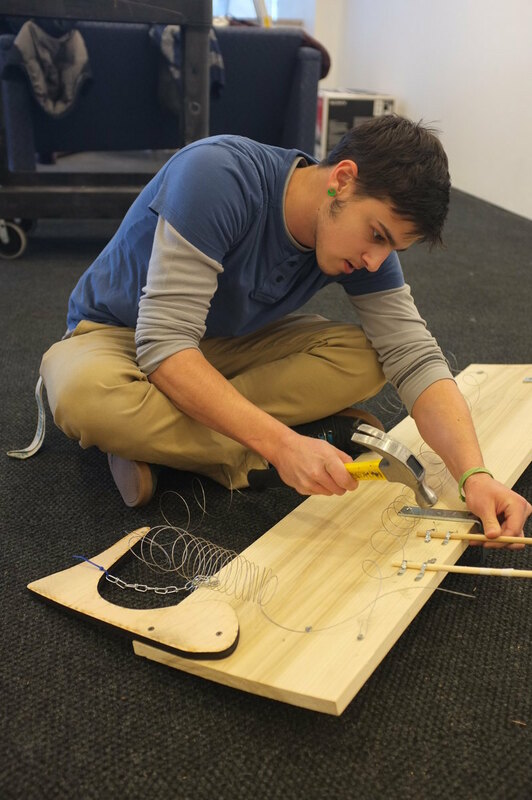 Inspired by visiting artist Eric Leonardson, students in one class made interactive sculptures which they amplified with hand-made contact microphones. 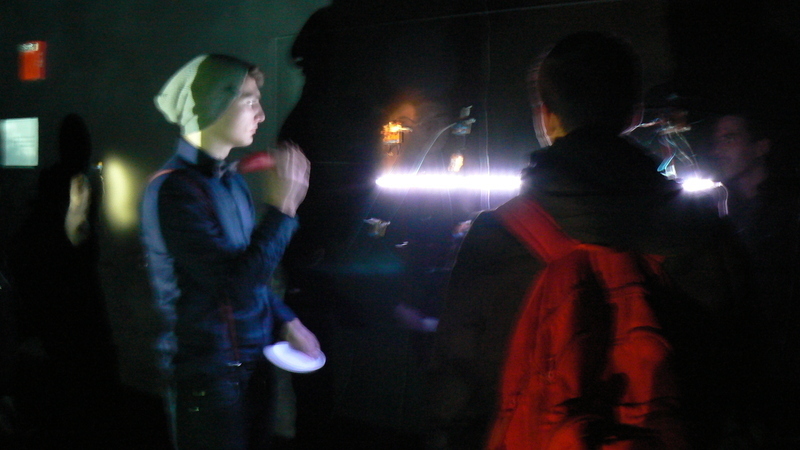 The other class built small synthesizers that reacted to light, installing the circuit boards in a dark room with video projections to trigger the photocells. I'm showing work in the "Concealed Carry" show at Experimental Station this month. The show is a response to the new Firearm Conceal Carry law that went into effect January 1. 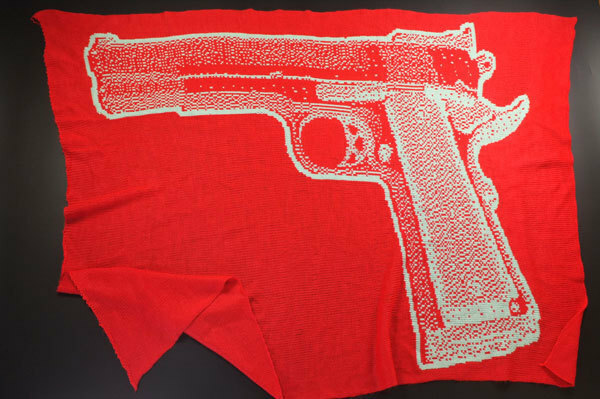 My work, "Security Blanket", features a knitted image of a gun, embedded with conductive fibers. Touching the trigger "triggers" a (very loud) audio recording of a gun shot. The piece uses capacitive sensing with an Arduino, and I'm excited to be working with this technology, as my students have expressed interest in it, and I plan to introduce a unit in my class on it soon. 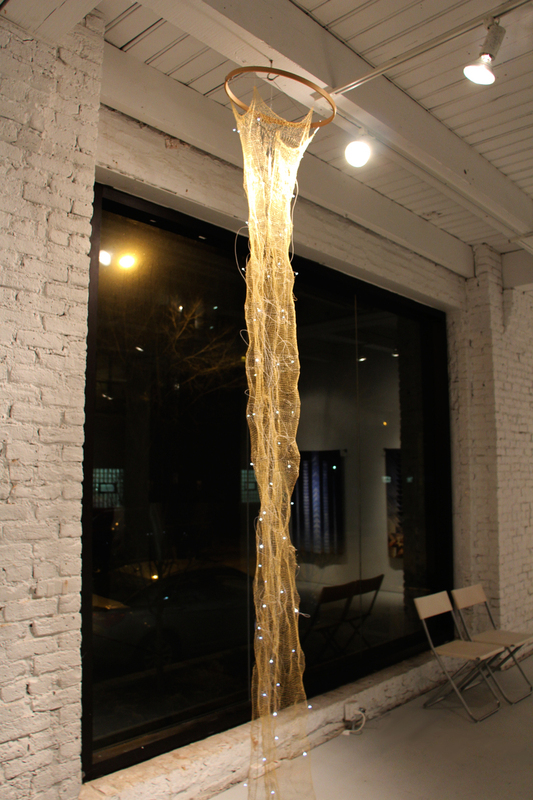 The show opening is tonight from 5-8pm. Experimental Station is located at 6100 S. Blackstone Ave, at the edge of the Univ of Chicago campus. The exhibit will be accompanied by two public conversations on the new law, led by former Chicago Public Radio host Steve Edwards.